The Dallas Cowboys had yet another lackluster game as they fell to the Russell-Wilson led Seattle Seahawks 13-24 on Sunday afternoon. It feels like we may never see the Dallas Cowboys that went 13-3 and finished top of the NFC East while securing home-field advantage throughout the playoffs that year. Instead, we’re seeing a Dallas Cowboys team that can’t win without Sean Lee or Ezekiel Elliott and we’re seeing signs of Dak Prescott not being able to take over games in the bigger moments. Sure this Cowboys team has a lot of potential and upside and also possess an excellent pass rush that can get to any quarterback in the league but it feels like we won’t see what they’re made of anytime soon. 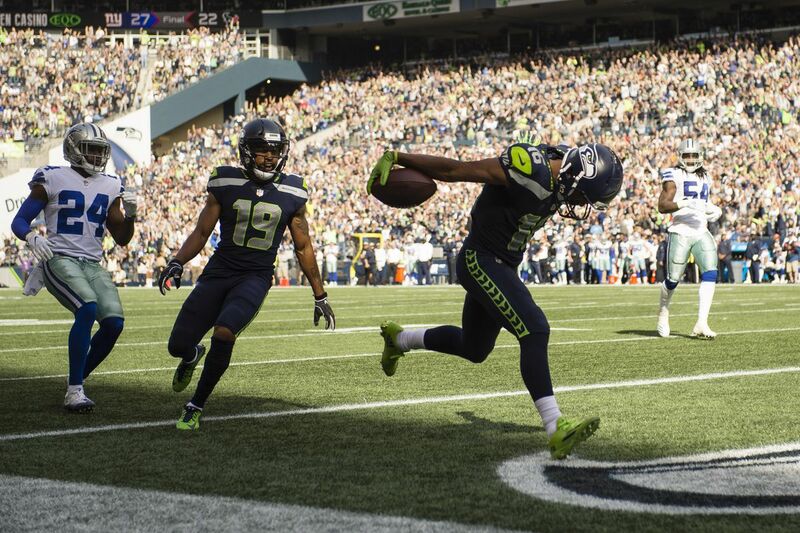 As for the Seahawks, this was probably the best game they’ve played all year. Russell Wilson didn’t have to scramble as often as he usually does and had a running game going with Chris Carson rushing for 102 yards on 32 carries, averaging 3.2 yards per carry along with a touchdown. The offensive line also didn’t look as bad as it had in games past, providing decent enough blocking for Wilson to get the ball out of his hands and for Chris Carson to find holes in the Cowboys defense. They also looked like a classic Pete Carroll team as they forced three turnovers and ran the ball. Another plus for Seattle was that none of the rumors that surrounded Earl Thomas seemed to matter on Sunday as he intercepted Dak Prescott twice today, bringing his total to three interceptions on the season and showing why he is one of the best safeties on the planet. Seattle truly showed why they could be able to hang around in the playoff hunt if they can get their act together. The Dallas Cowboys offensive line had a lot of problems today. They are already playing without all-world center Travis Frederick. Things took a turn for the worst early in the second quarter with left tackle Tyron Smith left with an injury. There was also another bad roughing the passer call that went against the Cowboys because who can have a football game without a botched call anymore, am I right? Tyrone Crawford hit Russell Wilson on third-and-5 at the Seattle 12 at the 11:17 mark in the first quarter. He hit Wilson and brought him down right as the QB was throwing it. But that’s a penalty now, landing on the QB with full body weight. It just goes to show how the NFL has changed their rules towards protecting the quarterback. It wasn’t just any call, it helped keep that drive alive for the Seahawks. While they didn’t score on that specific drive, they were able to get the ball to midfield and take up some of the clock.